‘Tis the season where we open our doors to holiday visitors. It could be our neighbors or guests from out of town, kids home from college or an entire family reunion. 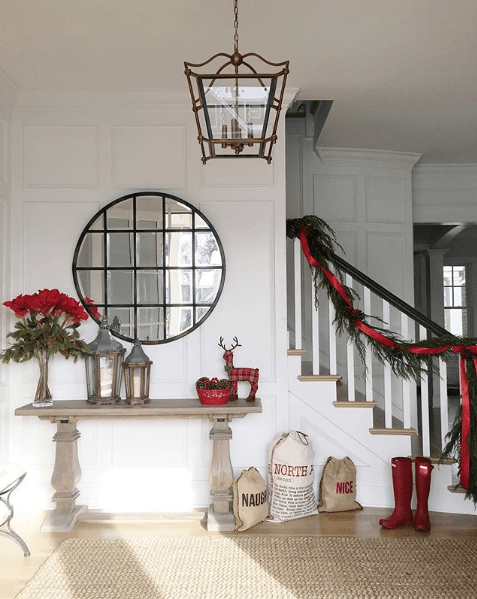 Whatever the occasion may be – a Christmas Eve party or a simple family brunch – our front door tends to welcome a lot more guests this time of year. There is nothing like a friendly face to greet a guest, but why not leave a lasting impression when inviting them in. Let’s talk about giving your entry an added touch of love to create that lasting impression. Your entry, after all, is the introduction to the rest of your home. Let me just add, “a touch of love” does not require a home remodel! 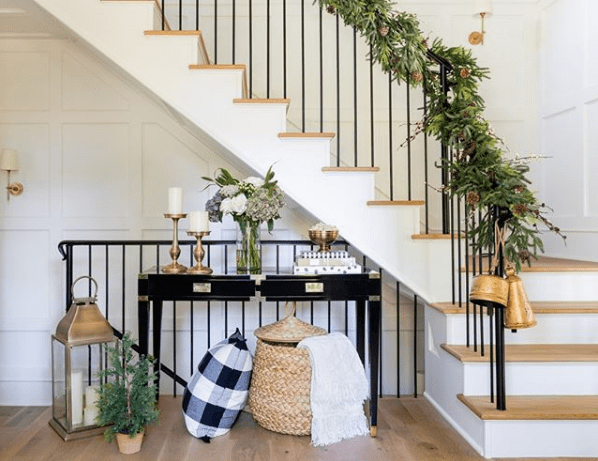 Here are some fun ideas for inspiration on how to welcome up your welcome. The entry should reflect the over all style of your home. What do you want your guests to feel when they walk into your home? For a calm welcome, organization and an easy flow are key. Tripping over shoes or bumping into out of place furniture is not quite what we’re going for. If you have a large enough entry for furniture, try use functional pieces. A storage bench to hide clutter, baskets, an entry table, or an accent chair to drape coats over. A coat rack or decorative hooks are the go to for smaller spaces. Don’t skimp on the pretty, but do think practical. Once you have set the stage, you can focus on the overall design. Once again, let your entry speak for the rest of your home. To add warmth, add a lamp or two – there is nothing like a touch of mood lighting. A rug is always a good idea when looking to warm up a space and add a little bit of texture. 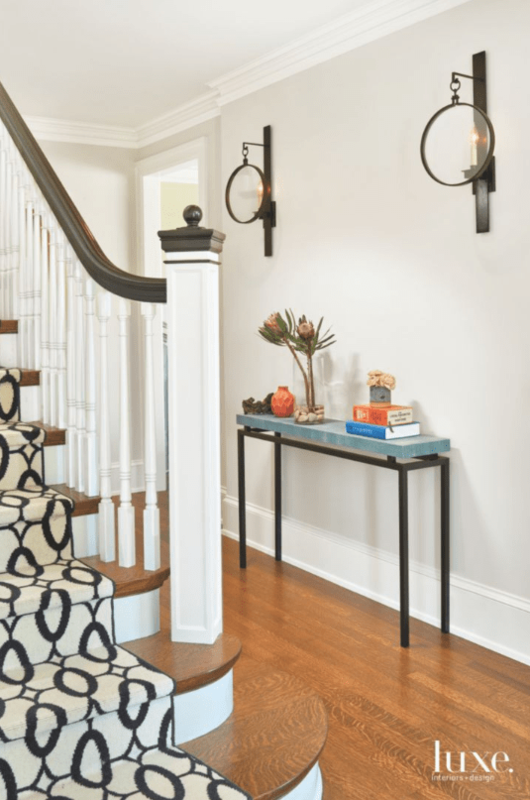 If you have a smaller entry, a lamp may not be an option, but don’t shy away from the rug. 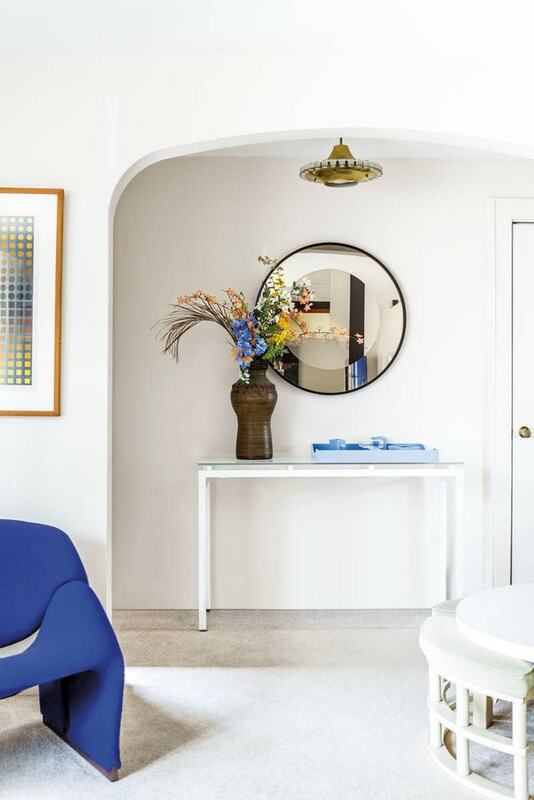 For that smaller entry, add a mirror to give the illusion of space. For larger entries, add some artwork to bring in some color and dimension. Let your light fixtures speak volumes by choosing a statement piece to hang from the ceiling. And no, you don’t need an ornate chandelier to create a statement! 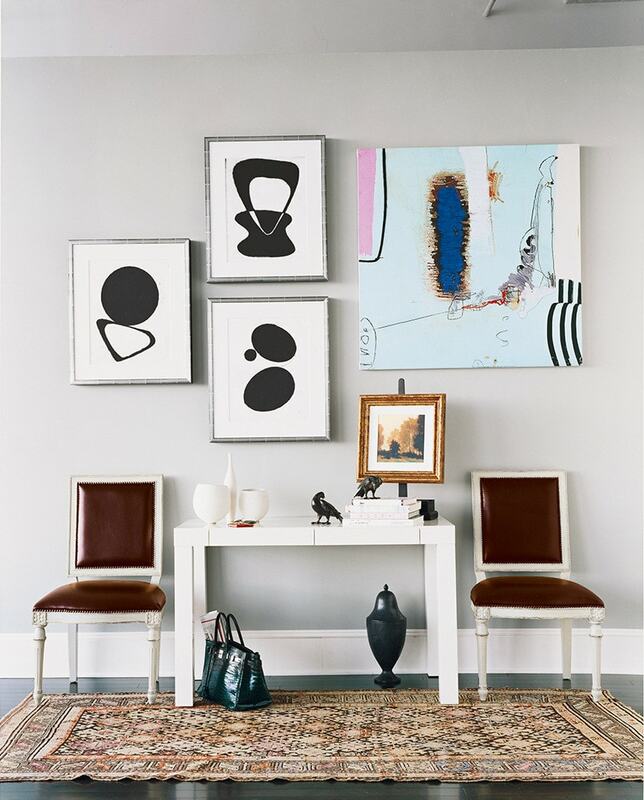 If you have the surface space, add some personality with a picture frame, a vase or a collected piece. Now, create atmosphere and bring in the festive feels. Top of the list, scent. Candles, candles, candles. Nothing sets the tone than a seasoned candle. A warm welcome can be accented by warm colors – think subtle oranges, toned down reds, rich yellows and golds. Make it magical with crisp tones and touches of metallic. Break up the warmth with bold pops of green. Wreaths, ribbon, a throw or pillow on that accent chair, fall foliage in a vase on the console. 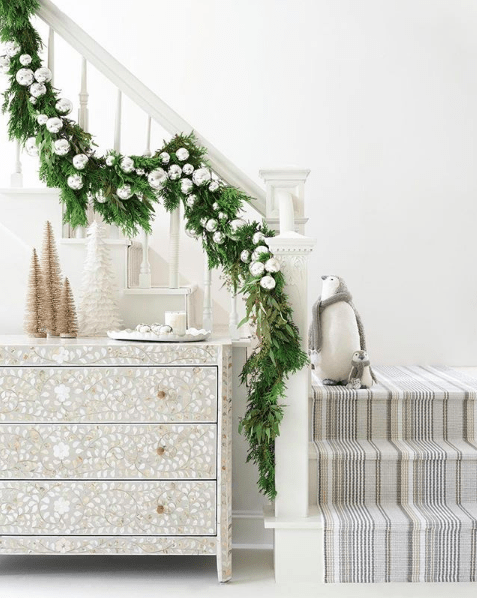 Little accents like these are the perfect addition to creating a festive atmosphere without breaking the design bank. As Christmas approaches, swap out the fall foliage in the vase for mercury glass ornaments or magnolia leaves with pops of shimmer. 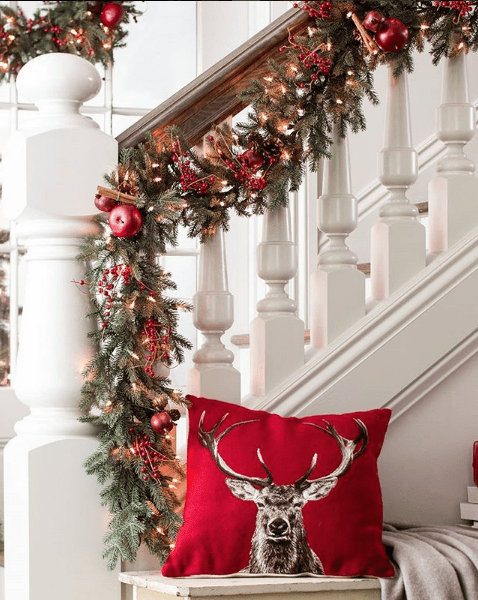 Replace the throw with something plaid and change the pillow to something more jolly. Choose a wreath that matches your overall holiday decor. Red and gold ribbon for a traditional look, lush green and natural stems for a rustic look, or nothing but metallic for a glam touch. If you’re all about some garland, try accent the style of the wreath to keep it cohesive. There is no need to rush your guests from the front door to the living room. Give them a chance to linger and enjoy the welcome into your home. Now, get to greeting! I really need to thank Michelle for pulling my home together. My home now makes the statement I was trying to achieve. I Thank Michelle for helping me LOVE my home! Michelle Yorke is a interior designer renowned for her distinct color sense and attention to creative detail resulting in interior environments that are delightful, inviting & extraordinarily livable. Click here to learn more about Interior Designer, Michelle Yorke. It’s Spring and time to clean!